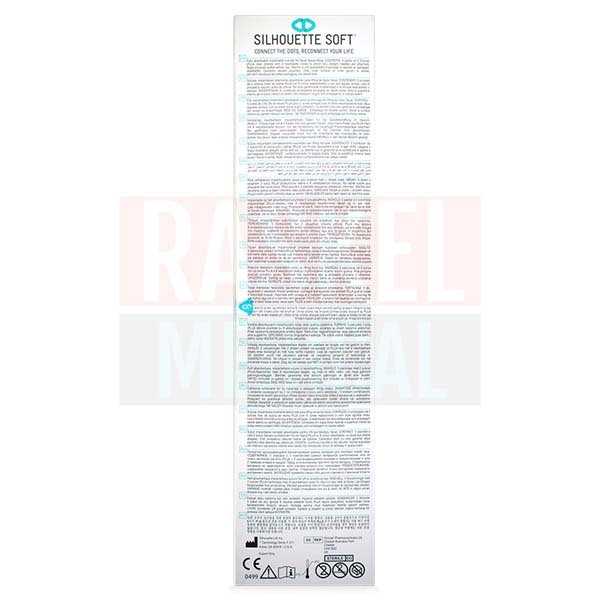 Silhouette Soft is an ingenious surgical suture that provides instant lifting to combat early signs of aging. It comprises of bi-directional lactide glycolic acid cones suspended via polylactic acid thread. Once inside the skin, the thread provides a formidable network for neocollagenesis and tightening of facial structure. This technique is a nonsurgical face lift and is applicable at the jawline, face contours, and neck. It is available in five packs of two units, with a selection of eight, 12 or 16 cones per thread. Silhouette Soft’s ground-breaking reconstructive and cosmetic suture allows an immediate face lift. It inserts a patented thread and over time, the available collagen in the skin encapsulates the structure and self regenerates. The manufacturer is Sinclair Pharma. This product originates from London, England. 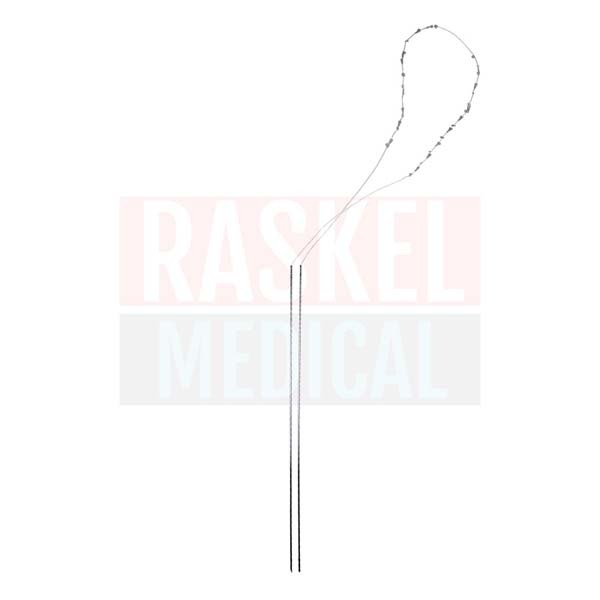 The insertion of this suture may cause side effects such as transient bruising, minimal acute inflammatory tissue reaction, pain, swelling, infection and edema. Bunching, slight depression or skin irregularity may appear at entry points. These should resolve within a week after treatment. It is suitable for men and women aged mid-30s to mid-50s. The skin should show only early signs of aging such as light sagging. It can be inserted in the jawline, face contours, cheeks and cheekbones, eyebrows and neck. This product does not contain polydiaxanone. It is available in five packs with two sutures each. The difference is the number of cones on the thread. 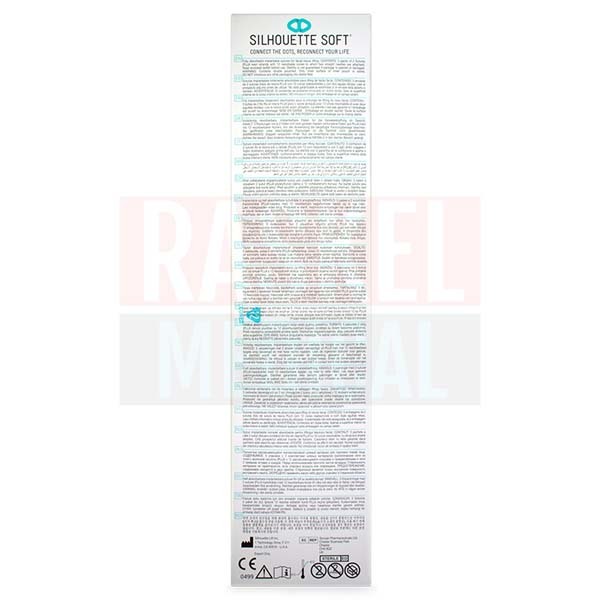 Silhouette Soft 8 has eight cones on a 26.8cm long suture. Silhouette 12 has 12 cones on a 27.5cm long suture. 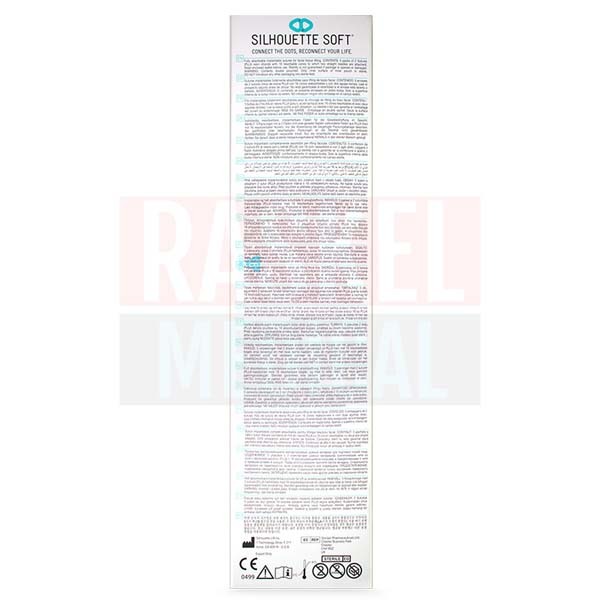 Silhouette 16 has 16 cones on a 30cm long suture. Create the entry hole using an 18G needle and indicate it into the subcutaneous tissue. Insert the suture to a depth of 5mm. Turn horizontally and cones should eventually be in the adipose tissue. Insert the other half of the thread. Compress and massage the thread. Lactide glycolic acid cones linked on polylactic acid thread. The cones are arranged along the length of the suture. These cones anchor the suture to the facial contour and resists any migration. It helps to shape the sagging area by gentle compression and lifting. 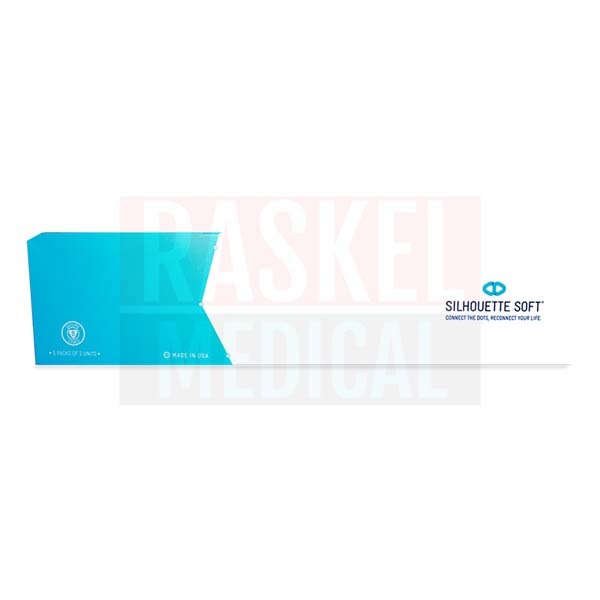 The sutures provide a sturdy structure that stimulates neocollagenesis. Although the sutures gradually degrade into the extracellular matrix after 12 months, the new collagen framework can sustain on its own up to 18 months. With skillful compression of tissues, skin elevation and suture insertion technique, the results are immediate. It fixes the skin to tauter and firm, reducing any sagging or prominent laxity. It gradually resolves into a natural-looking appearance. After the full resorption of the sutures, the lift may last for 18 months to two years. 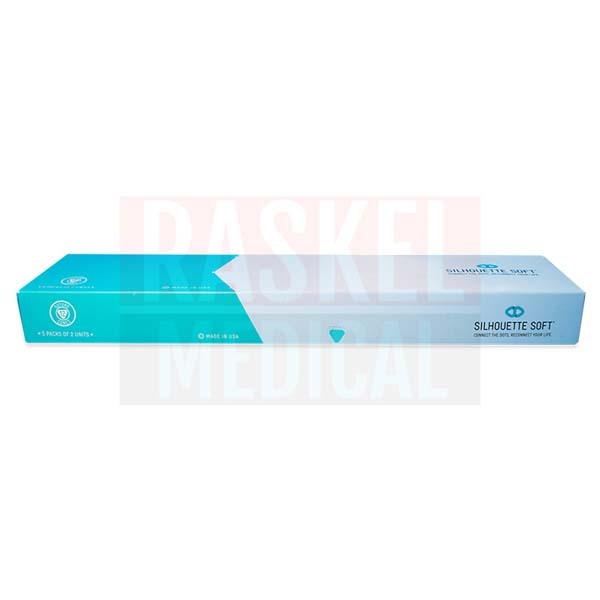 Store the sutures in the package and between 0°C and 8°C. Store in a dry place away from direct sunlight. The expiry date is stated on the packaging label.